The Reinheitsgebot is alive and in the inner east Perth... 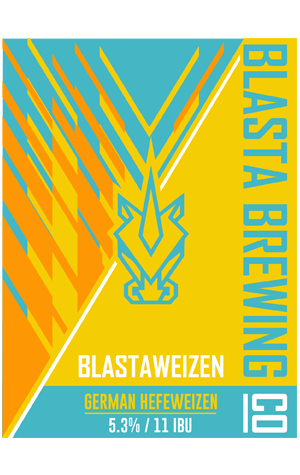 Using more than 50 percent wheat malt and a strain of yeast from Bavarian wheat beer meisters Weihenstephan, Blasta has carefully crafted an easy-drinking Hefe that stands proudly in the oversized, Blasta Certified Pint glasses. Classic notes of banana and clove abound with some light spice, a flash of lemon, restrained malt character and low bitterness in this respectful take on one of the world’s classic beer styles.